Home/VOI/Why move to a digital VOI platform? Why move to a digital VOI platform? You’re probably wondering why you should bother digitising your internal VOI practices when you can just keep photocopying, scanning and storing your client’s ID documents yourself? You probably think you’re already securely storing your client’s ID data and that it’s going to be just another cumbersome job to move to a digital VOI platform to conduct VOI’s yourself. Well let’s take a look at some of these points more closely and carefully consider the key risks and benefits…. The more traditional manual way of collecting client ID data involving photocopying, scanning, uploading and storing takes on average around 20 minutes from start to finish – and that’s without interruptions. Moving to a digital platform such as IDSecure to verify your clients yourself takes just 90 seconds from start to finish. 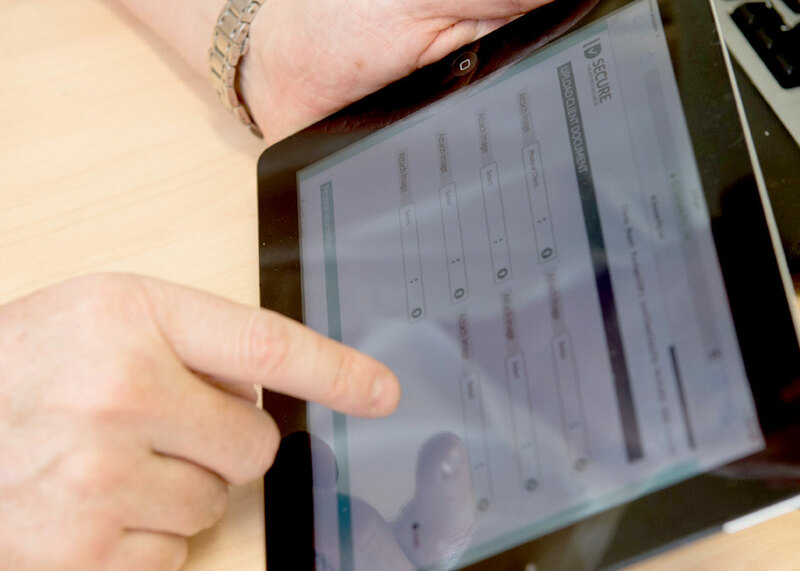 Within the 90 seconds, you will have captured the required images of the client ID documents and electronic signatures, received a digital copy of your compliant VOI report, had the data encrypted and securely uploaded to a central dashboard where it’s then conveniently available to you at anytime for 9 years! No more follow up processes after the client has left and no more worrying about when you’ll get back to ‘finishing that VOI’ in between everything else that you have going on. Not to mention searching and retrieving client VOI data in the future becomes efficient as it can be done instantly, should you or your firm get audited on particular VOI matters, need to retrieve them for repeat clients or be called upon to provide VOI evidence in the event of a fraudulent property transaction. You can get valuable time back to concentrate on what you do best. Have you ever thought that the most valuable asset that your client has is their identity? If this is stolen by an identity theft, this can wreak havoc on their life and the ramifications can be detrimental for years to come. This is why shifting the responsibility and risk to an expert who specialises in securely storing this sensitive information on your behalf is hugely beneficial. 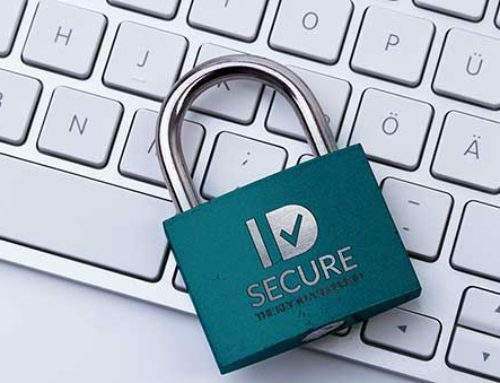 Companies such as IDSecure have gone to extraordinary lengths to store client ID data safely and securely to reach the highest industry security accreditation levels. This should give you and your client peace of mind that you’ve partnered with a specialist ID company to store their sensitive and confidential data securely. Also, when you capture your client’s ID data digitally on IDSecure’s platform, it automatically encrypts and securely uploads the client information on the spot! It’s all done within the contained secure IDSecure VOI system – there is never any transfer of ID data via email which is extremely risky for identity theft. Other common ways for people’s ID data to be stolen is via photocopiers which generally retain memory, servers which store information that is not likely to have been encrypted, paper files in the office and even paper files which are securely stored off site as these files are often getting moved by third parties. Any of these storage methods are risky for both you and your client. Secure searching and retrieving client data is also another key risk which can be effectively managed through IDSecure’s secure digital VOI system. Professional: what image are you portraying to your clients? The way in which you’re capturing your client’s ID data in front of them and then storing it, will contribute to their overall perception of your firm. Firms who have integrated professional digital methods to capture and store client information will certainly reinforce that the firm is progressive by embracing the latest technologies. IDSecure is a VOI specialist which caters for all your VOI needs – whether it be to verify clients yourself in the office or on the road, or remotely via their national Identity Agent network who service both metropolitan and regional areas and who meet the VOI Standard. The IDSecure system uses one consistent process for you to verify clients either yourself or through the Agent network. This means you only have to familiarise yourself with how to use one VOI system which in turn, delivers all compliant reports to you instantly and then stores them in one convenient and secure spot for 9 years. You don’t need to search for VOI reports in multiple spots which becomes inefficient and is more time consuming if your VOI provider only delivers a ‘partial’ VOI solution. The IDSecure system is fast, efficient, secure and compliant! IDSecure is also recognised by Property Exchange Australia (PEXA) and Australian National Electronic Conveyancing Council (ARNECC) as a major and fully insured VOI provider. For the professional choice, for a team that partners with you, and the communities in which they operate, contact us here. By Lara Paholski| 2017-05-12T06:17:40+00:00	May 9th, 2017|VOI|Comments Off on Why move to a digital VOI platform? IDSecure Identity Agents – who are they? And will they protect my reputation? 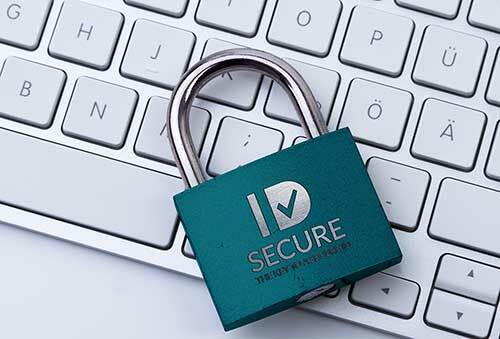 Why choose IDSecure as your VOI provider? Subscribe to our newsletter and get the latest IDSecure news!